Link here to the end of civilization. The bright spot, I suppose, is that Seattle’s outrageously priced housing cost problem may solve itself. A full hour show, but I found it fascinating. 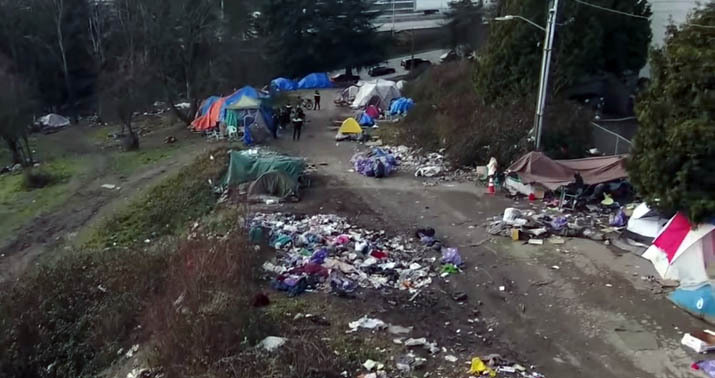 Seattle has given up enforcing its laws and the results are as expected. It’s not about “the homeless”, it’s about drug addicts, and the last quarter-hour is spent on Rhode Island’s program of incarcerating drug users but then providing intensive counseling. “You can’t arrest your way out of this”, Seattle’s DA asserts, but his decision to do nothing is destroying the city.